I finally succumbed to temptation and bought Mia 2 four days ago at Sephora, KLCC at 10% discount. A friend of mine wrote a short note about it on Instagram and I was bought into the idea straight away, especially when she said 3 of her friends are also using Mia 2 and are loving it very much. Haih…cepatnya terpengaruh! The other thing is, I’m lazy with facials so I thought ‘why not?’. Besides, even Gwyneth Paltrow, Cameron Diaz and Gisele Bundchen rave about Mia 2!! Okay okay, I didn’t care much about that, as if Mia 2 is gonna transform you into Bundchen, right? The truth is, I have been contemplating about Mia 2 for the longest time. It seems like interesting invention for lazy bums like me. I’m not planning to tell you much about it yet as I always get hyped about almost anything and everything in the early phase. As this is an expensive item, I thought I spare some of you ‘ yang juga mudah terpengaruh’ from my ‘baru- beli syndrome’ !! 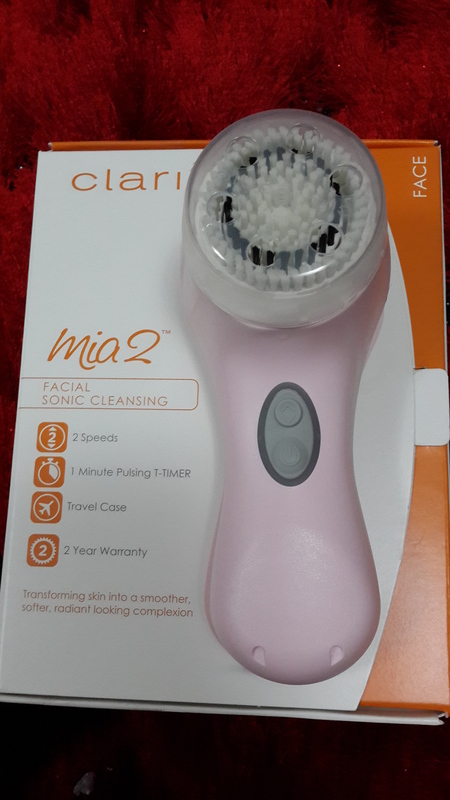 If you have used the Clarisonic for some time, do share with me your thoughts. Another dupe for this would be Olay’s, it is very much cheaper. So if you do own one, do tell me if you liked it. I will tell you my thoughts on Mia 2 at least after 2 weeks of use. Fair enough kan ? I luv Mia 2. It cleanse my face thoroughly and I have not check in for facials since early this yr. Yes its expensive but its worth d money. 2 of my sisters bought Mia 2 as well and they both loved it. my eldest had some tiny bumps the first time she used it and almost sold it off to her friend until she read it was just temporary. I must say my tone is better with clarisonic and I also dont break out as often compared to before. my serums gets absorbed better too. i must say my skin is the best it has ever been for a long time!! Disebabkan sindrom senang terpengaruh tu la… hahaha….